YouCard starts 2016 with a very special winter promotion. You can now purchase the popular card printer types DTC 1250e and DTC 1250e dual by HID Fargo for the exceptional price of 800,00€ for the DTC 1250e and 950,00€ for the dual version. The high demanded thermosublimation card printers are made for fast printing jobs with small to medium printing quantities. Both the one sided card printer 1250e and the doublesided 1250e dual are by far the fastest card printers in their category. Through their economical consumption you are able to print up to 50% additional full-color plastic cards. Start successfully into 2016 by taking advantage of YouCard’s winter special! 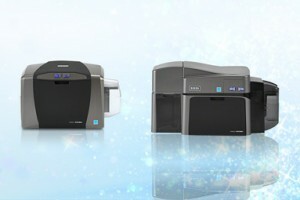 Our card printer specialists advise you gladly anytime!